The annual slaughter of marine mammals on the Faroe Islands is underway despite waning demand for whale meat and an outpouring of protests calling for the practice to be stopped. But soon the Faroese might have no choice but to cancel the controversial "tradition" as tour operators appear to be rethinking visiting the island if the killing is allowed to continue. 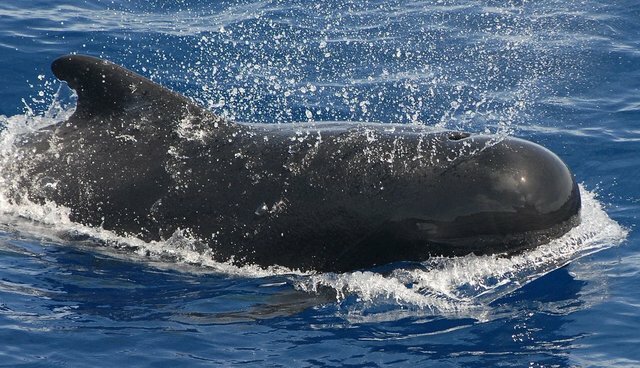 German company Hapag Lloyd, which operates luxury cruises that land on the Faroe Islands, issued an open letter to the country's prime minister, Kaj Leo Johannesen, calling for an end to the controversial whale hunt. "Hapag-Lloyd Cruises campaigns for a respectful contact with flora, fauna and the ecological system ocean with all its animals. We have the goal to preserve these sensitive ecosystems in its nativeness," wrote the company's chief executive, Karl J Pojer. "We protect what fascinates us - that is why our company and our guests have a strong wish to stop the whaling on the Faroe Islands and to create a dialogue with you." While being dropped by just one cruise company would be enough to harm the country's economy, Hapag-Lloyd isn't alone in considering it. Just last year, another cruise line, AIDA, sent a similar letter to Prime Minister Johannesen expressing its desire for Faroese "to stop the whaling." Backlash from tour operators may be the most effective way of ending the hunts, which have continued even after warnings from the Faroe Island's chief medical officer that whale meat was not fit for human consumption. Jürgen Ortmüller, director of the Whale and Dolphin Conservation Forum (WDSF) agrees that targeting the tourism industry is key to stopping the slaughter - but letters, he says, just aren't enough. Regardless of their public stance against the whale hunt, neither AIDA or Hapag-Lloyd cruises have ceased bringing tourists to the Faroe Islands. "Nothing changes," Ortmüller told The Dodo. "They wrote the letter last year, and the Faroe Islanders have killed more than 1000 dolphins. It has changed nothing. That's the problem." Ortmüller says that unless the cruise companies drop the Faroe Islands from their itineraries, nothing will change. "They can change their mind by changing their decisions. They have high incomes, so they can afford to drop the cruises," he said, adding that their failure to do so might result in actual losses for the the cruise operators. "The next step is to make a boycott. It's important to communicate, but letters change nothing."